I love all your treasures. What is that in the lowere right corner - pottery? 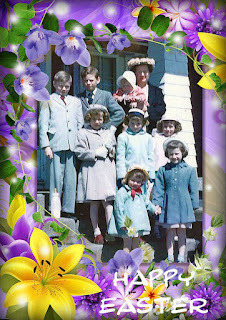 Have a very happy Easter wherever it finds you.. 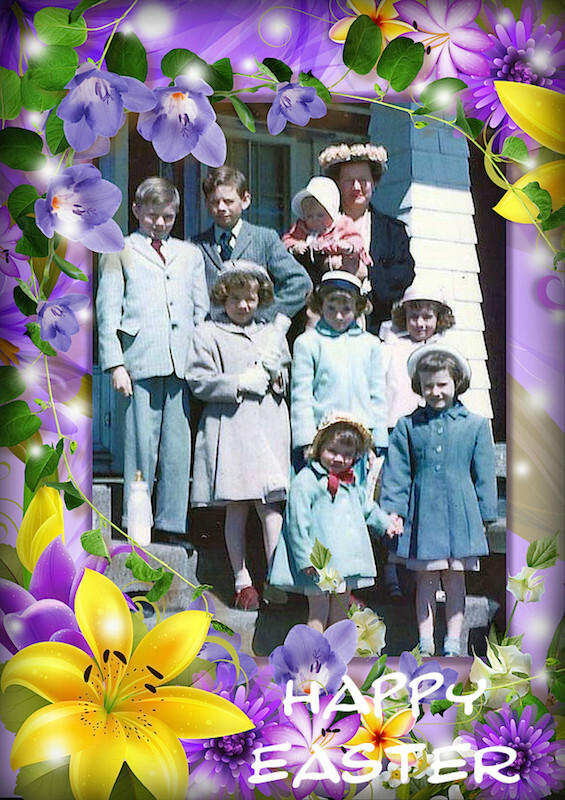 I hope what ever you do for Easter is good for you, feeling the pits on a holiday is a drag. Our cherry blossoms are starting to open in the courtyard. I'm hoping that it's sunnier tomorrow and I can get some good pictures of them. 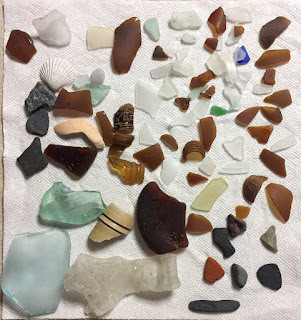 It looks like you got some other interesting finds amongst your lovely pieces of glass. Have fun creating something wonderful with all those treasures. I had a video talk with my two Portland daughters this morning. They had been beach combing in the north west. 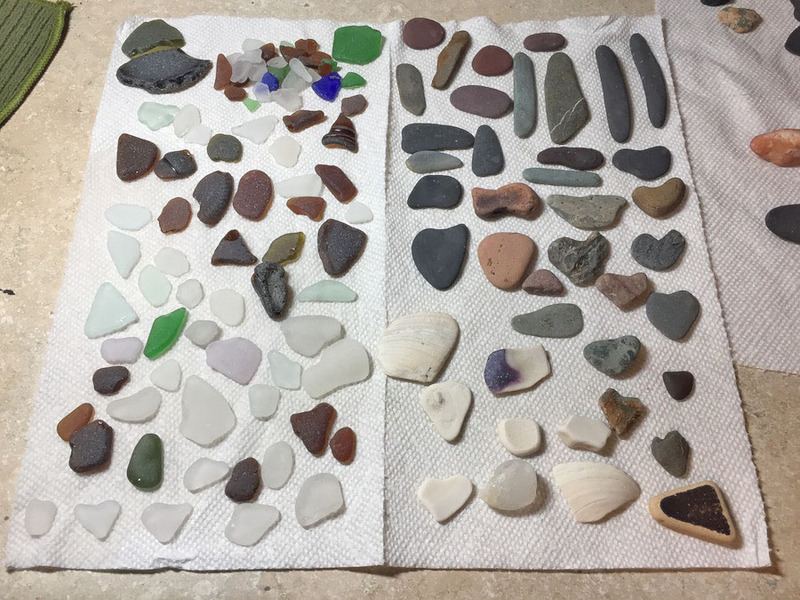 One summer I worked on Vashion Island out in Puget Sound and I still have some of the sea glass and polished petrified wood I picked up there. I notice you found some lovely hearts too. Large groups could be tiring and meals that don't suit as well. Have a day that makes you come home feeling rested and happy. What a sweet old family picture. Hope your Easter lunch goes well.... beaches are such lovely places, I can really see why you like to spend lots of time there..